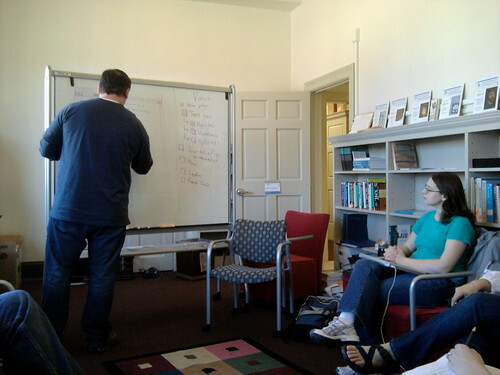 First, one of the extremely knowledgeable members of the Praxis team teaches the newbies about something. 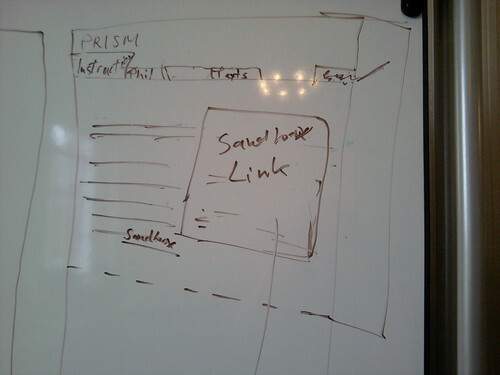 Here, that something is wireframing. 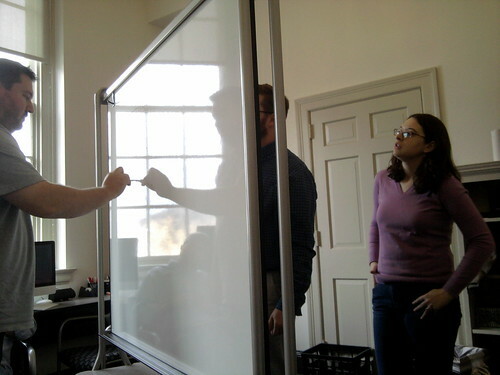 Next, Praxis Fellows try out their own ideas on the new concept, using each other as sounding boards. We achieve various degrees of success depending on a number of factors, including that day’s caffeine intake level. Finally, the focus group (wireframers here again) agrees upon some kind of model to be used for sharing with the larger Praxis team at the weekly Tuesday afternoon meeting. We dissect, discuss, and suggest modifications as a group. Then it’s usually back to the Fellows Office for revisions and a repeat of the process. 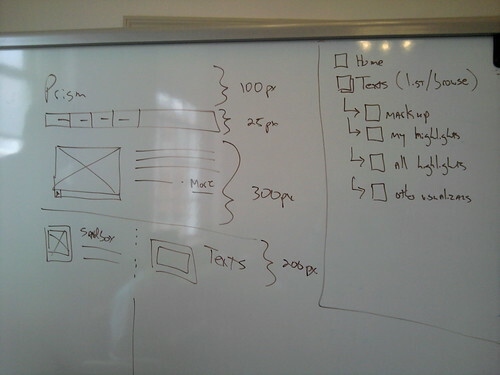 Disclaimer: the above images are drafts and first-round workings-out of wireframing problems. They are not necessarily representative of where we are now with our wireframing. I don’t think we’re giving away anything too top-secret, and since one of the goals of this program is to be “live and in public” I thought it was about time you got to see something we’ve actually drawn up ourselves. Ed: YESSSSSSSSSSS!! The rest of us: [quizzical looks] Ed: I just got Heroku to work on my application. And even better, Wayne was wrong. [laughter] Ed: I’m gonna go tell him. Cite this post: Sarah Storti. “The (beautiful) truth about Praxis”. Published December 13, 2011. https://scholarslab.lib.virginia.edu/blog/the-beautiful-truth-about-praxis/. Accessed on .